'Tidying Up' for a Cause! 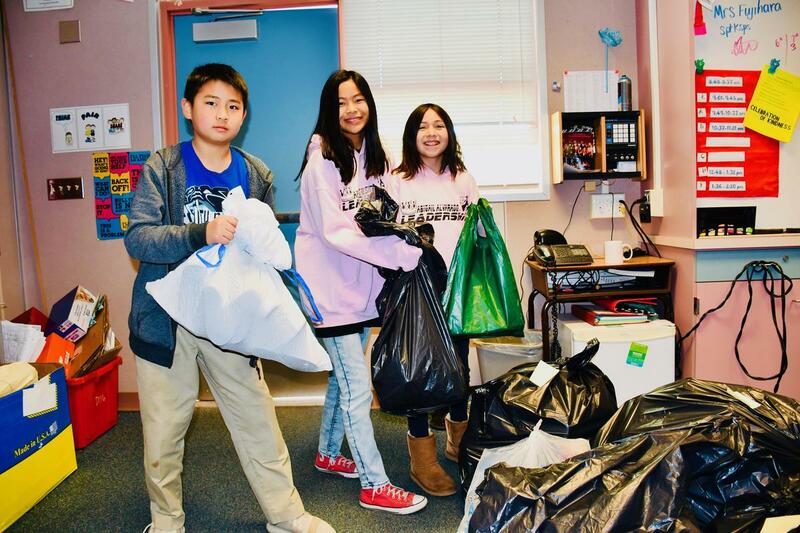 DIAMOND BAR, CA—In a nod to Marie Kondo’s popular Netflix series, South Pointe Middle School families have been “tidying up” closets and donating their gently used shoes. In just two weeks, over 2,000 pairs of children’s and adult-sized footwear that were outgrown, worn out, or no longer “bringing joy” were dropped off in classrooms. And the world-renowned organization expert would be surely impressed with the clutter clearing results that crushed the original goal of 1,350 pairs. 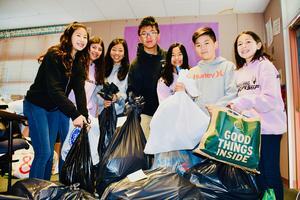 The Caring Soles drive, held January 14-February 8, was presented by the school’s Community Club. 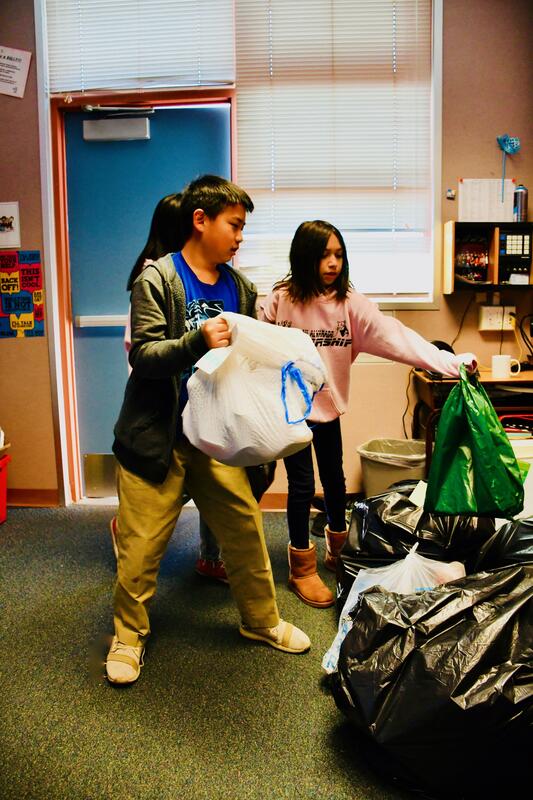 “The only requirement was that the shoes needed to have no holes in the soles,” said Principal Dr. Susan Arzola as the last donations were being counted on Friday. Some of the shoes will be sent to needy families, while others will be recycled with profits benefitting the school. Each day, Associated Student Body leadership students sorted, tallied, and delivered bags of tennis shoes, sandals, sports cleats, and boots to a designated storage area on campus. “Our (Community Club) parents wanted the children to be a part of something that will help the world and help others,” Arzola said of the globally-minded service project. 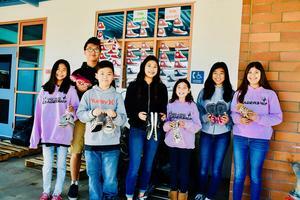 Seventh grade ASB member Edward Kim brought in two pairs of his old tennis shoes. 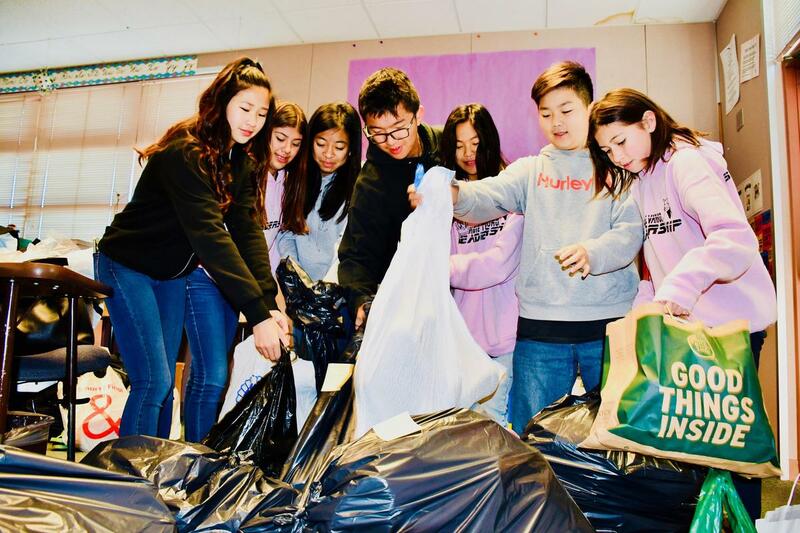 “It felt good to help my school and someone else who really needs them,” he commented while organizing stacks of black trash bags packed with shoes. 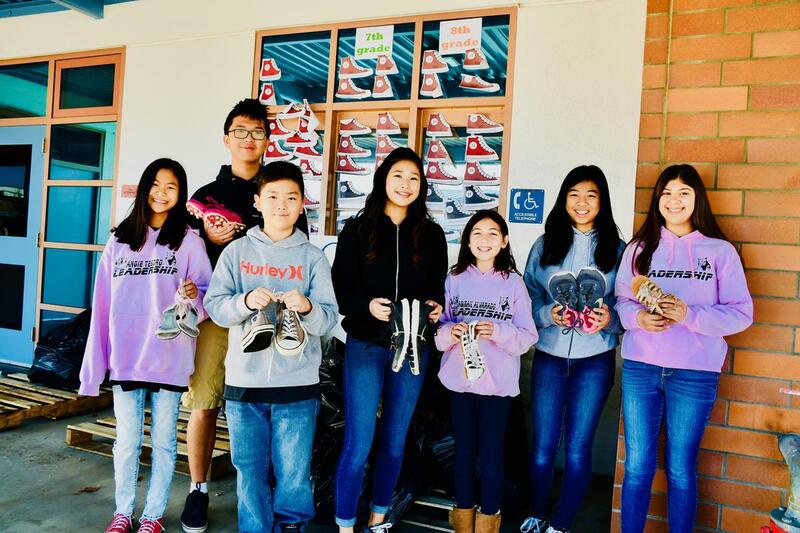 “The shoes that are unable to be donated will be re-purposed by taking the soles out and then using for other materials like playgrounds,” said eighth grade ASB member Joseph Wangsa. 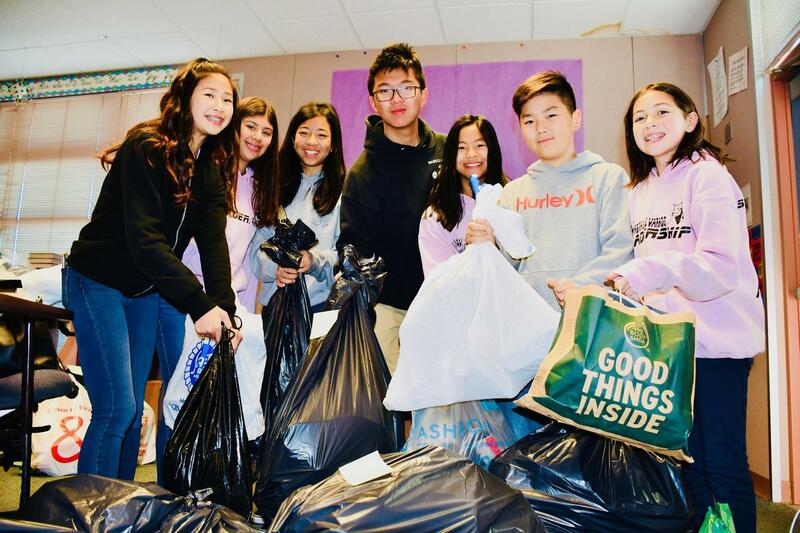 “Last Thursday, we collected shoes as parents dropped off their students at the curb,” shared seventh grader Angeline Tesoro. To add a bit of fun to the new event, the school offered Fruit by the Foot roll-up snacks to the first 100 students to drop off shoes before school, as well as a friendly competition between grade levels reported on the KSPS morning news broadcast. 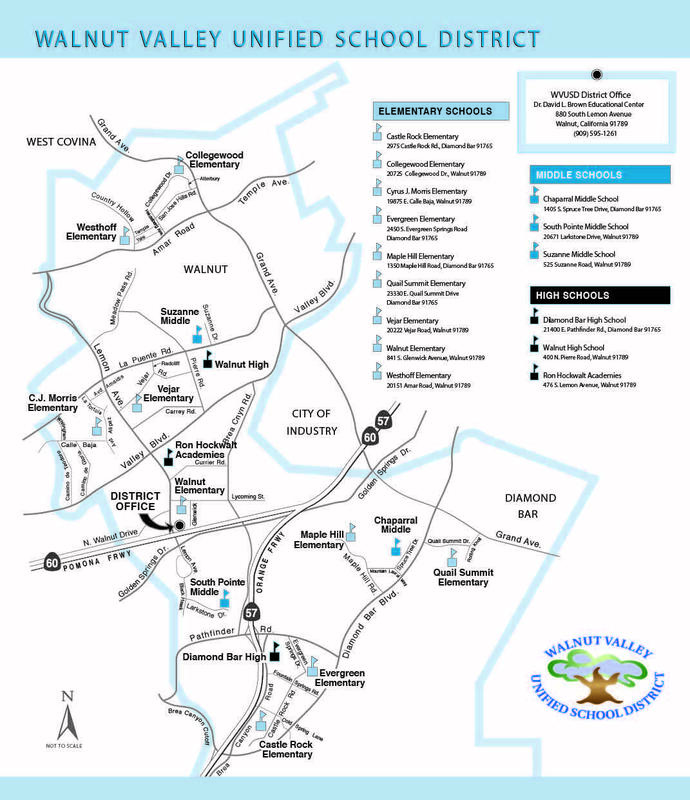 The Angel Bins non-profit recycling company was scheduled to pick up the mile-high stack of donations on February 11. 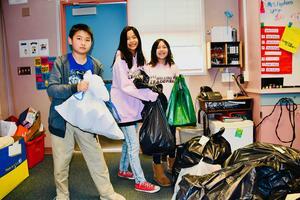 South Pointe Middle School leadership students collect and organize donations during Caring Soles shoe drive.